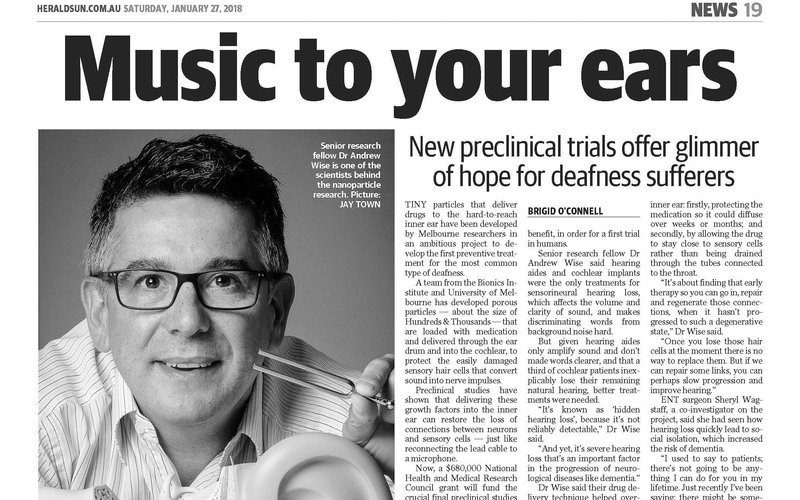 GPRWMF Recipient Andrew Wise of the Bionics Institute has been featured in the Herald Sun regarding the funding of preclinical trials into nanoparticle research. Dr Andrew Wise and Dr Sherryl Wagstaff are recipients of a 2018 Conjoint Grant from GPRWMF that will support the development of aspects relating to the clinical translation of this work. Subscribers to the Herald Sun can read the full article online here.